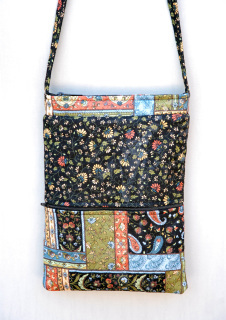 Each handbag is handmade with high quality materials. 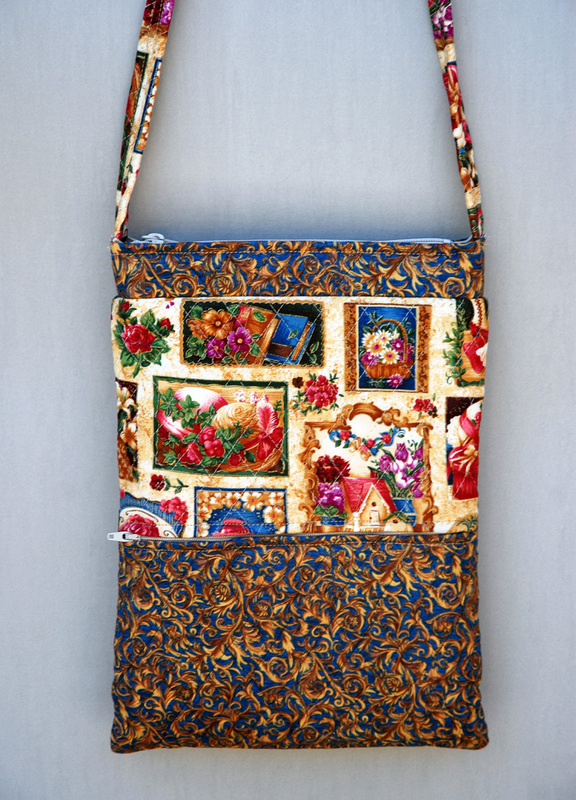 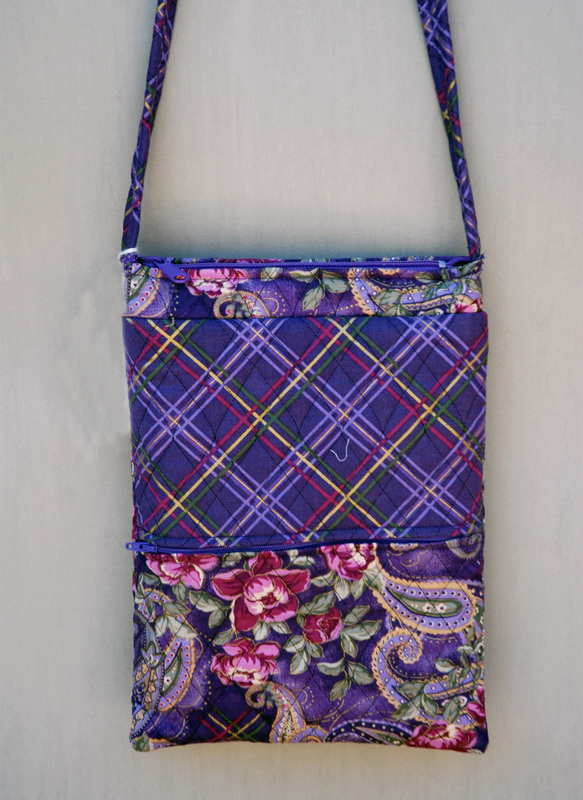 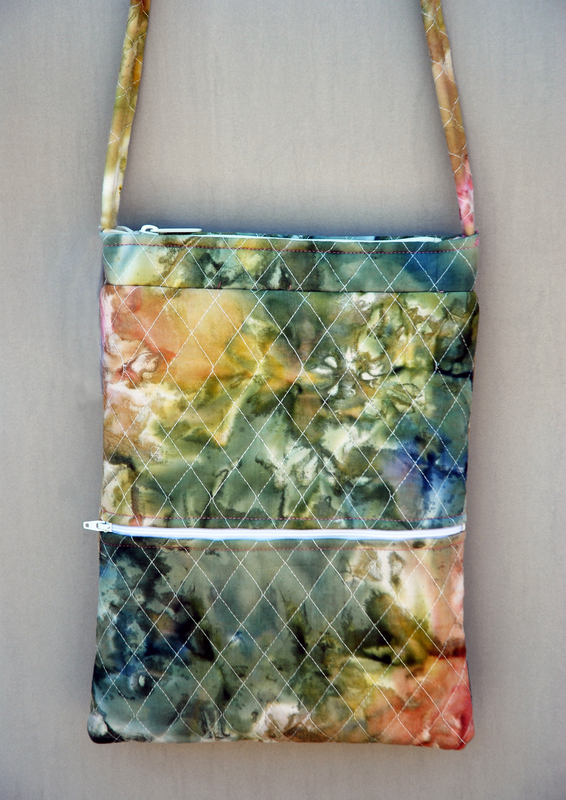 The outside of the handbag is sewn using pre-quilted fabric. 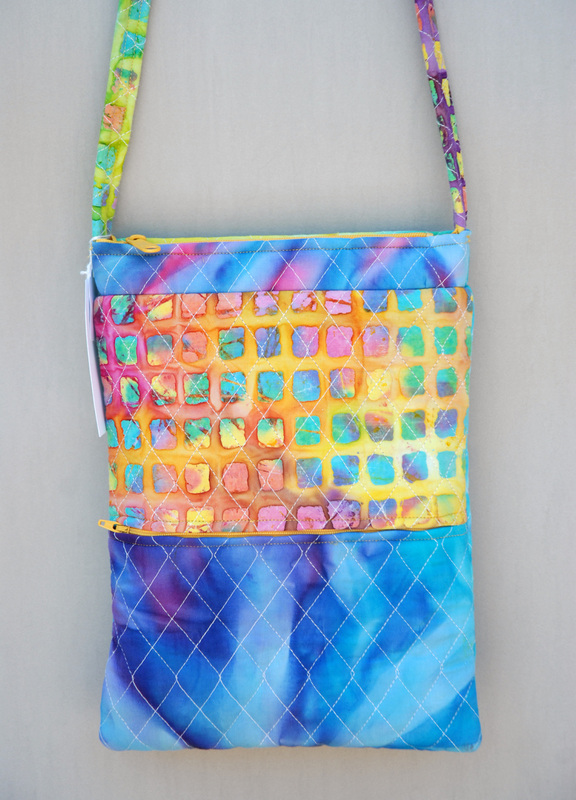 ​The Dawn Bag could work as a cross body bag for someone who is short in stature from the waist up. 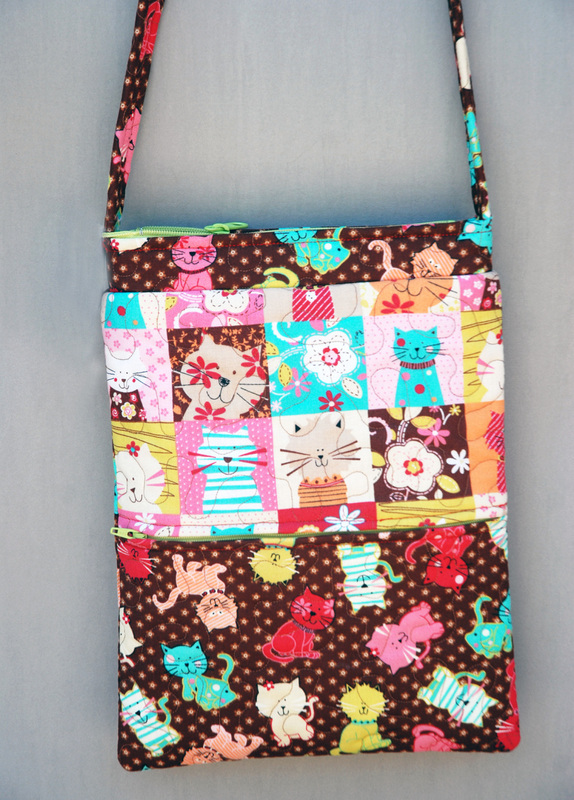 It is also good for teenagers. The strap measures 20 1/2 inches from top to bag, which makes it 41 inches long from side to side. 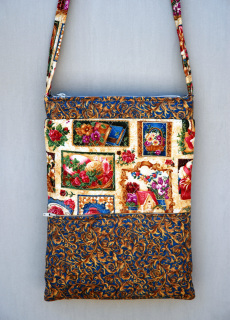 The bag is 12 inches high and 9 inches across. 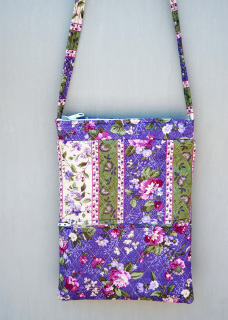 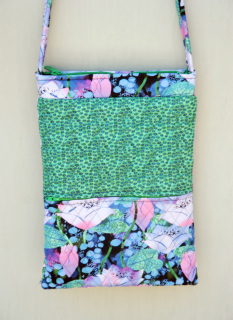 On the front of the bag is one zippered pocket measuring about 5 1/2 inches deep and about 8 inches wide. This handbag has a zippered top. The interior of this handbag is entirely lined with pockets of different sizes and the cotton fabric used is coordinated to match an exterior color. 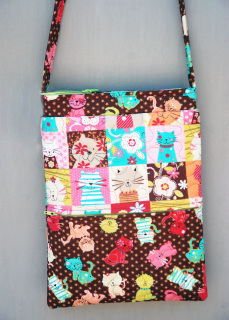 This is both machine washable and dryable using the gentle cycle for both. These our hung in our store and wrinkles in pictures are caused by trying to hide store tags for photos.